Does nerfing breach Sale of Goods Act? Amazon has reportedly partially-refunded a man for his PlayStation 3 purchase after he claimed that the removal of the option to have Linux on the console rendered it not fit for purpose. 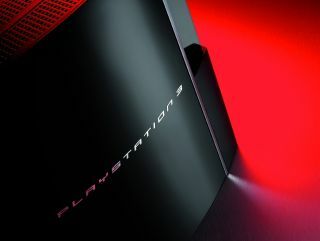 The furore over Sony's decision to remove the option to install other operating systems on the PlayStation has not only sparked a war of words, but now could have a commercial impact. According to PlayStation University one owner has been granted a partial refund, without having to return the console, after citing Directive 1999/44/EC which deals with products being fit for the 'purpose which the consumer requires them and which was made known to the seller at the time of purchase'. Although confirming the story is proving difficult (TechRadar has contacted both Amazon and Sony but has not yet had replies), the repercussions if Amazon has offered a refund in this case could be huge. TechRadar's early investigations suggest that , if the feature was considered as an advertised function at the point of sale, then removing it could indeed cause problems under the UK's Sale of Goods Act - which is enforcable for six years after purchase in England and five in Scotland. It is the seller (ie Amazon in this case) rather than the manufacturer who must refund the money, but it's clear that taking away any advertised feature with a firmware upgrade could become a thorny area for companies.